We have harnessed the power of copper for over 10,000 years, before which we’d only gold (rather useless for weaponry) and meteoric iron (as commonly available as you might imagine) to use as metals. Copper is still very useful, as you’ll find if you hunt with this 338 Win Mag from Barnes’ VOR-TX line of ammunition. 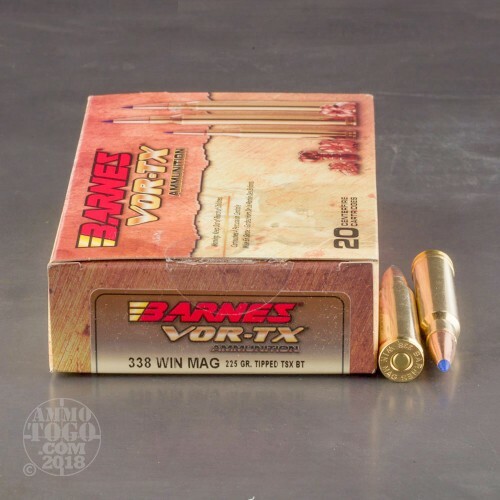 Its TTSX BT projectile is made entirely of copper, so it not only fouls very little and will let you hunt in California, but is able to lose no less than one percent of its mass as it penetrates deeply within your quarry. 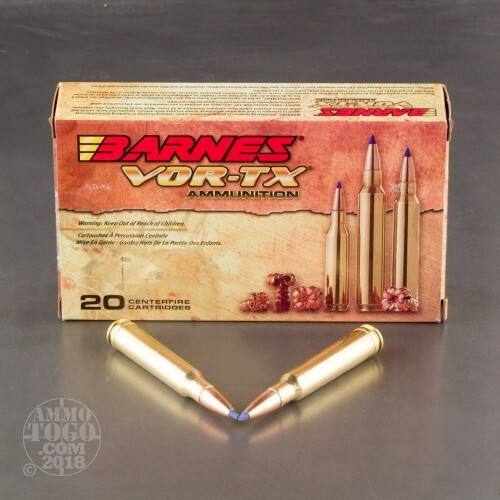 The TTSX BT improves upon its predecessor, the TSX, with the addition of its polymer tip. That tip initiates rapid expansion upon impact, resulting in the extension of four sharp cutting petals which absolutely devastate game within. 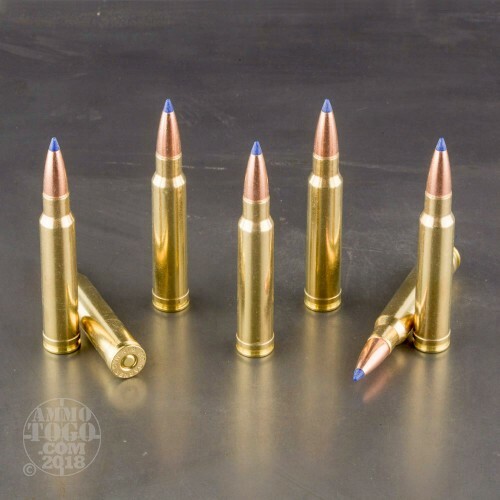 The tip further boosts the TTSX BT’s ballistic coefficient, as does its boat tail design and pressure relieving grooves in its shank. 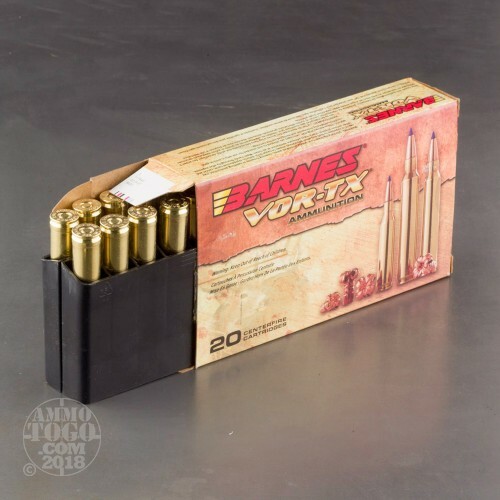 Barnes’ other quality components deserve pairing with such an accurate bullet, so this round’s a must for a serious hunt whether you’ll be venturing out in California or any place else. Much more consistent than any other brand in my Ruger American .338 win mag. Consistent groupings & I'll continue to use.